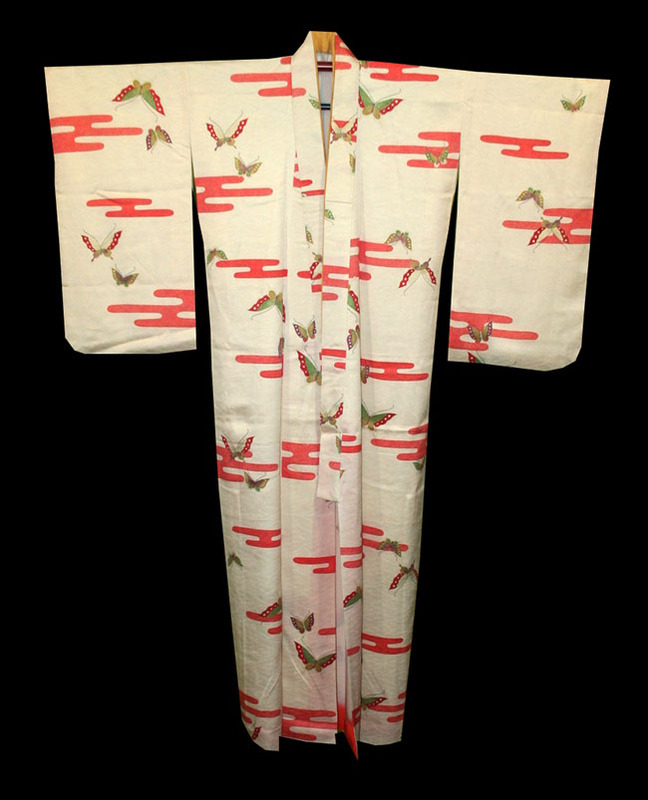 Kimoyes item: 22742 - Modern cream silk kimono with all over woven pattern The silk is quite soft with a dyed butterfly pattern. 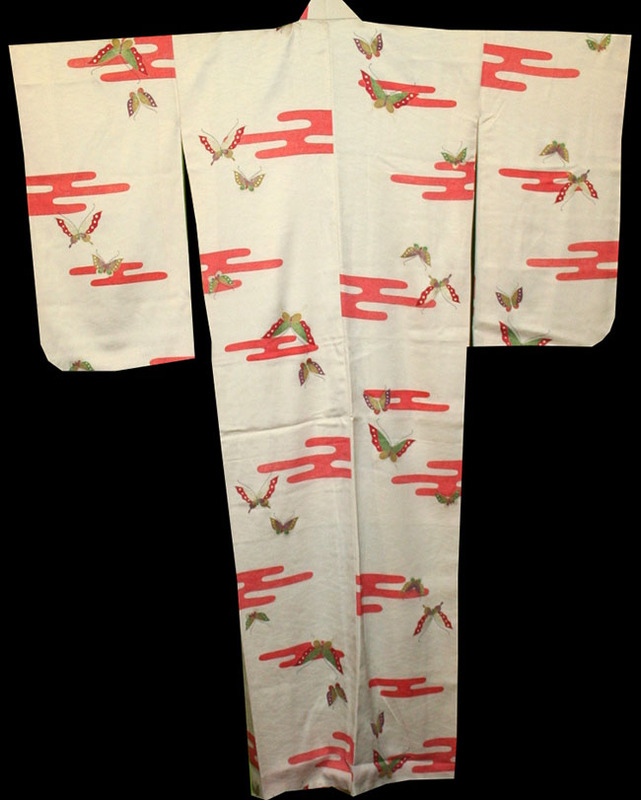 Modern cream silk kimono with all over woven pattern The silk is quite soft with a dyed butterfly pattern. The inside is a cream silk. 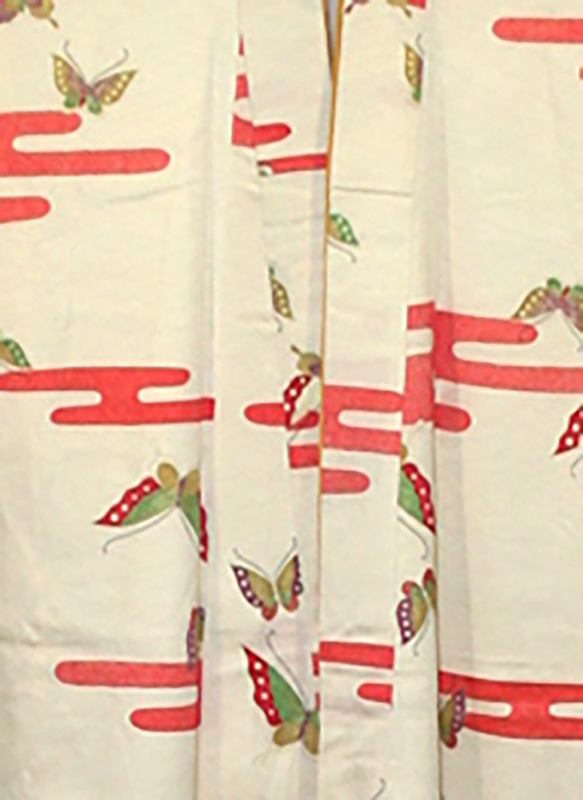 It is 64 inches long and 52 inches from sleeve cuff to sleeve cuff. Lovely to wear or display.